The Montecristo Petit Edmundo is a small and a powerful Habano, of Petit Robusto format, 52 ring gauge, 4.3” (110mm) long and comes in box of 25 cigars. It is basically a shorter Edmundo, with a different flavor profile though, due to the different blend used for this cigar. Nevertheless, it keeps this unique Montecristo profile, and it is a powerful cigar. The Montecristo Petit Edmundo is a full bodied petit robusto. •	Same ring gauge as its big brother the Edmundo but the tobacco leaves used are different. •	The whole Montecristo taste and experience in a short sized smoke. This cigar is a must have for those who enjoy the short and stout vitolas. The Montecristo Petit Edmundo comes in a semi boite nature box of 25 cigars with Habanos Packing Code SBN-UW-C/L-12,13-n-25. The cigar has a silky wrapper to touch, and it is very firm. The coloring is that of slightly lightened coffee sprinkled with cinnamon on top. There is a nice aroma to the cigar, and it shows some definite star anise spice notes, cedar hay, black coffee and earth notes. The cold draw is somewhat firm. A very appealing even burn and there is a nice ash on the cigar of charcoal gray. The draw loosens up a bit in the second third and remains cool throughout. The initial third starts off on full typical Montecristo flavors. It is beautiful first third with nice woody aromas, such as oak and cedar. We can also detect some leather notes surrounding flavors of double roasted coffee and cocoa. With the second third come nutmeg, cinnamon and some white pepper. This is stronger than the typical Montecristo. This third is medium full in terms of strength. Very flavorful with touches of marzipan. The construction is superb. Even burn line and the ash hangs on nice and solid. The last third brings more spices, soft thick heavy cream. Some cedar, fresh ground coffee. Mild cigar with a full body. Burn continues to be even and has copious amounts of smoke even at the finish. To summarize, from the start to finish it is fulfilling and rich. 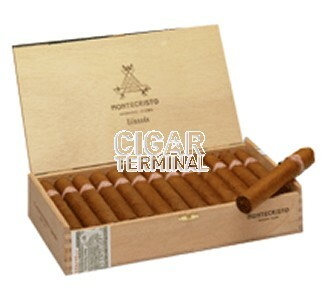 I just bought another box of the Montecristo Petit Edmundos, and going to get another 2. These are unbelievable for the money. Lovely creamy smoke with hints of sweet chocolate, coffee and lovely salt left on the palate. Can smoke immediately recommend leaving them for at least a year to allow those delicious flavours to develop. Full bodied Petit Robusto is a pleasure to smoke if you like em full bodied. I prefer these to the regular Edmundos which are more airy and delicate. The Petit Edmundo is petit but powerful. Superb construction. Looks like a Rolls Royce of a cigar. Fantastic combustion and burn. Amazing flavour and medium to full strength. Buy it. These have everything I like about a monty #2 but in a shorter format. Smooth coffee, coco, and earthy taste to them. I'd recommend holding off on these if there super young. I didn't really enjoy them ROTT. But, after a few weeks they where good and I could tell that they need way more time resting to reach there fully potential. Not a bad little guy, the construction and flavors are really great! What amazing little bomb! I like this short fat little guy, for it gives full flavor of coco, cafe and chocalate.